Did last year’s office holiday party feel like a case of the Mondays? With the holiday season upon us, it’s time to start thinking of ways to make your winter work gathering the best event ever! We’ve been in business since 1983, so our party experts know a thing or two about putting on a show. Ringing in holiday cheer doesn’t need to ring in yawns and sighs. 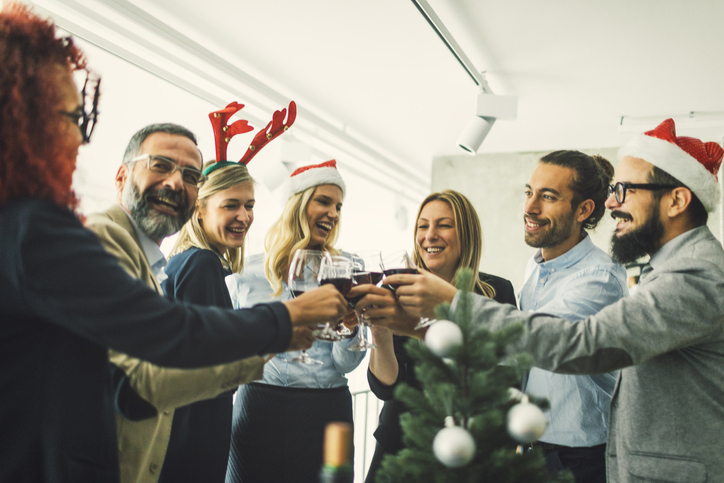 Here are 3 Tips For Throwing An Office Holiday Party that are sure to make even the IT guys smile. A common rookie mistake is to set out a punch bowl and hope guests will mingle around the table until the party ends. Adding some games to your party is a sure way to wake your co-workers up and foster collaborative team building with a side of friendly competition. Our high quality products include an array of entertainment ideas from bingo to volleyball (try an indoor round during chilly winter months!). Multiple stations with both team games and simple prize catcher games can give your party energy. Try a spin on the Wheel of Fortune and everyone goes home with a little extra Christmas gift! Finding a theme as the focal point of your office shindig is a great way to keep co-workers engaged. Consider a Christmas carnival theme or a masquerade party. Steer away from overused themes and strive for fun, fresh ideas everyone can participate in. For instance, the quintessential, yawn-worthy cookie swap is easily replaced with the hilarity of an Ugly Fruit Cake Bake Off. Roll out the red carpet for this year’s winter gathering! It may be cold outside, but that’s no reason for your holiday party not to be warm and inviting. If you’re hosting the party in the office, decorate the conference room with silver table runners, candles, and accents. Consider adding a Make Your Own Snow Cone station for some whimsical, family fun. The mood of the party is best set by the aesthetic. Need a little more help? Our full-time experienced staff are ready to make your office holiday party the best yet! With best-in-class customer service, we’re here to spread the cheer.